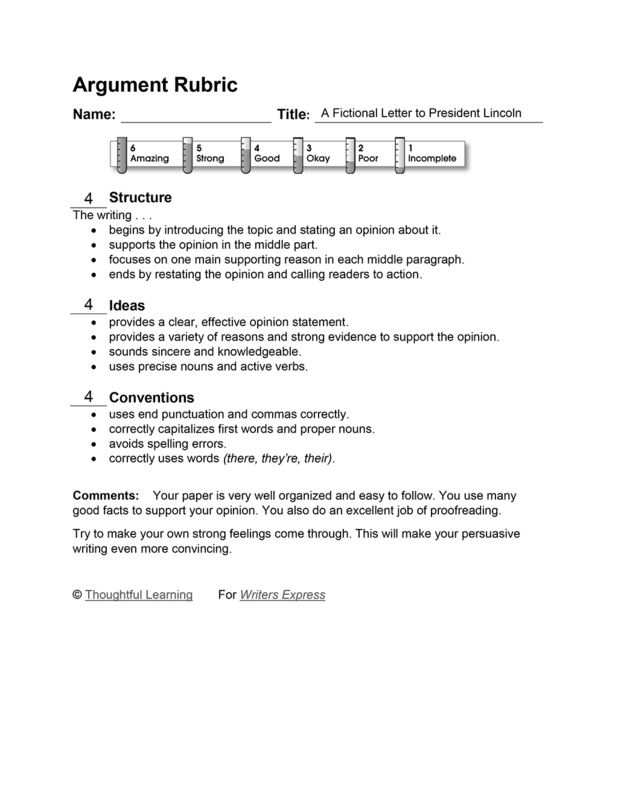 In this persuasive model, a student writes a fictional letter to President Abraham Lincoln. I am writing to tell you that I think that you should make Thanksgiving a national holiday. Here are some reasons why this is a good idea. The first reason I think Thanksgiving should be a national holiday is because the Pilgrims taught the Indians about friendship with each other. They had a feast with the Indians. So the Pilgrims taught us how to develop friendships with people who are different. I think we should celebrate this. Another reason is that the Mayflower Compact drew up a plan on how they would govern themsleves. It gave us the idea for the U.S. Constitution which is our plan for our government. So please make Thanksgiving a national holiday. It’s the right thing to do. That’s why I think you should make it a national day to remember these important poeple and what they did for our country. A Fictional Letter to President Lincoln by Thoughtful Learning is licensed under a Creative Commons Attribution-NonCommercial-ShareAlike 4.0 International License. Based on a work at k12.thoughtfullearning.com/assessmentmodels/fictional-letter-president-lincoln.